St Patrick’s Day, is a global celebration of the Irish. Green-clad crowds swarm parade routes from Tokyo to Toronto; in Chicago, the river is dyed green; and in New Orleans, strings of green beads soar through the air along St. Charles Street. In Ireland, however, it’s music that’s central to the St. Patrick’s Day experience. A look at our users’ listening habits from the past several St. Patrick’s Days shows that Irish music lovers use the holiday to stream songs primarily by their ample homegrown talent. Across artists and genres, most of the songs in the top ten have that classic Celtic twang, historical roots, or both. The tunes also tend to be upbeat and joyful—perfect for a spirited singalong. From Galway to Dublin and Cavan to Cork, here are the most consistently streamed songs on St. Patrick’s Day in Ireland over the past five years. Feel free to turn up the volume and belt the lyrics as if you’re in a pub in Limerick—or anywhere else. The song was originally written and recorded in 1949 by British folk singer-songwriter Ewan MacColl, but has been covered by countless Irish artists—most famously by The Dubliners in 1968. This 1985 version by British Celtic punk rockers The Pogues tops the list. A St. Patrick’s Day cliché? Not if you listen to the lyrics, which tell the funny tale of a hapless drunkard on a futile mission. The song is actually based on a 1700s Scottish folk song called “Our Goodman,” recorded in a period-perfect accent by Ewan MacColl (see above). Everyone loves a tall tale told over drinks, and this one—about a fictional Irish ship overloaded with cargo—is about as wild as they come. 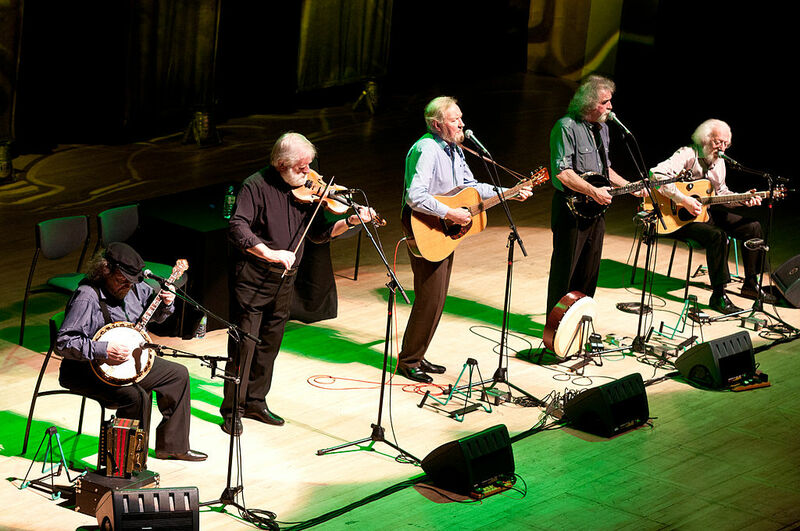 The lyrics have been tweaked and recorded by dozens of Irish artists over time, but The Pogues’ version featuring The Dubliners is the most popular. Irish listeners also love this rendition by Ronnie Drew. This song was one of the Irish rock band’s biggest hits, coming from their debut 1991 album. It celebrates a famously picturesque road, the N17, which once extended from Sligo to Galway in the west of the country. The most famous Irish musicians have dozens of songs frequently played on St. Patrick’s Day, but this singable and anthemic track from the 1987 album The Joshua Tree is the only U2 song in the top ten. Accordion master and fiddler Sharon Shannon has recorded some of the most popular albums of traditional Irish music. Several of her countrymen and women—including Hothouse Flowers and Sinead O’Connor—have collaborated on her songs. This song about teenage lust was far and away the biggest hit by the ’70s punk-pop band from Northern Ireland. “Teenage Kicks” attracted the band’s first record deal. This 19th-century folk song—about a man traveling from Tuam, in western Ireland, to Liverpool—has been covered countless times, including renditions by The Pogues, Dropkick Murphys, and even The Rolling Stones. The Galway-based rock band released this song in 1990 on their debut album. It remains their biggest hit, thanks in part to the song’s being regularly played in sports stadiums. Check out our Happy St. Patrick’s Day playlist for some of these classics and more tunes to fuel your celebrations. Plus, for a more contemporary look at music from Ireland, try A Breath of Fresh Éire, The New Éire, Hands In The Éire and An Alternative Éire.